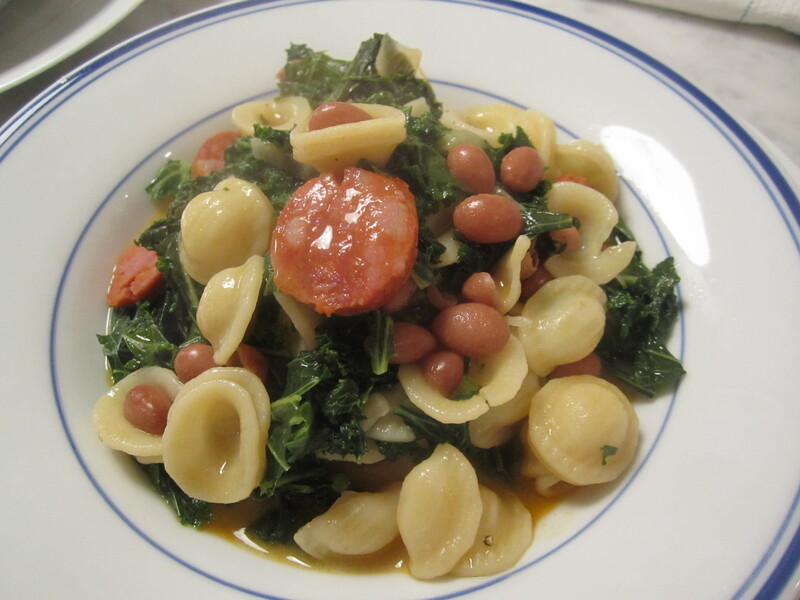 The combination of smoked sausage, beans and greens is one that I never tire of. 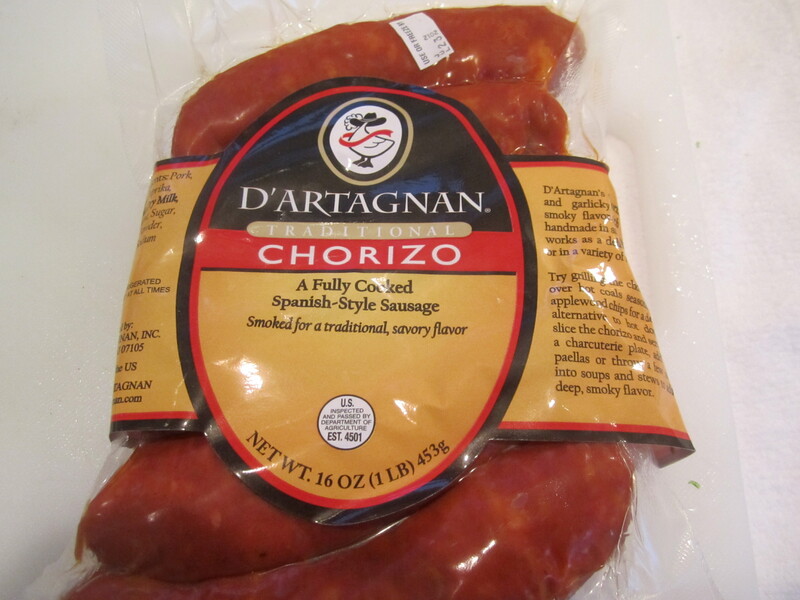 Chorizo is a particular favorite of mine, with its extra-smokey bite of Spanish paprika that turns everything it touches a deep scarlet color. Generally I try not to use canned beans (except for chick peas, which I only use canned). 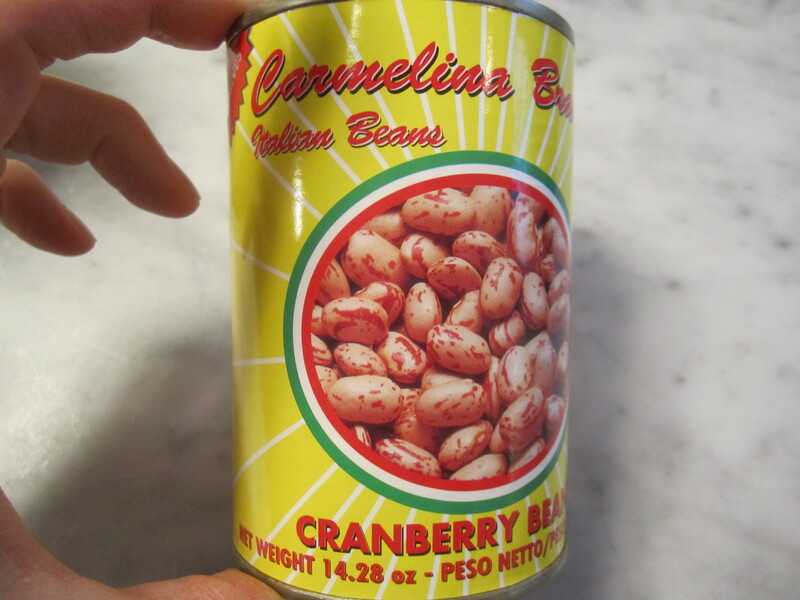 Recently, however, I’ve found an imported brand of cranberry beans which retain their body and firmness, and I love using these in all kinds of soups and stews. The kale gets stripped off its stems, cut into ribbons and boiled in salted water for about 5 minutes. In the same water, the pasta gets boiled. 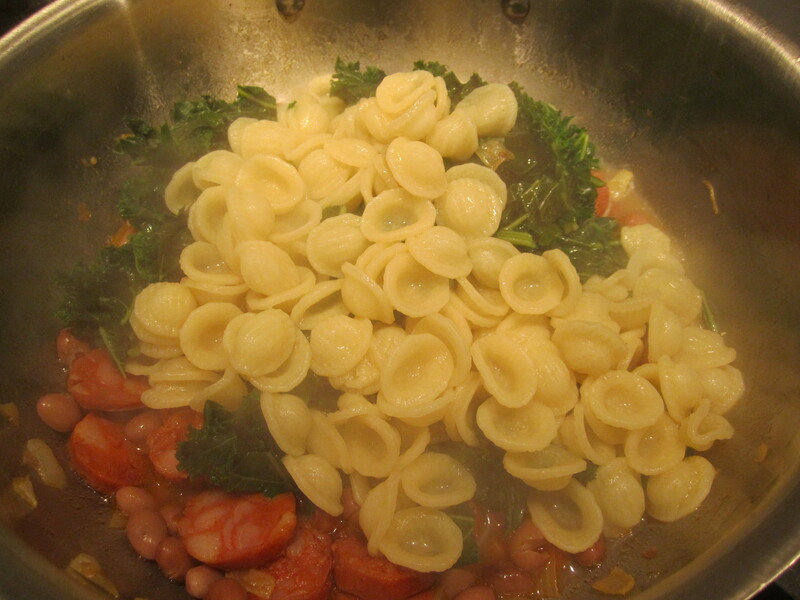 In a separate pan, the sauce is made in the time it takes to boil orrechiette. This is a cross between a pasta and a soup, and in fact, you can make it as soupy as you choose. On this rainy and chilly spring evening, I’ve chosen to make it fairly soupy and savor its warming goodness. While pasta is boiling, in a large skillet, saute onion on medium heat until translucent–about 5 minutes. Add chorizo and increase heat to high. 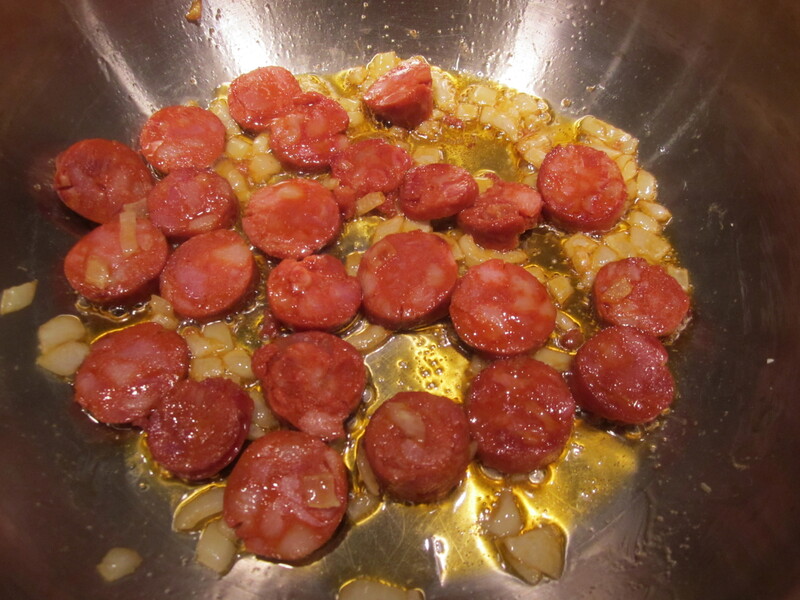 Saute for a minute to slightly brown the edges of the chorizo. 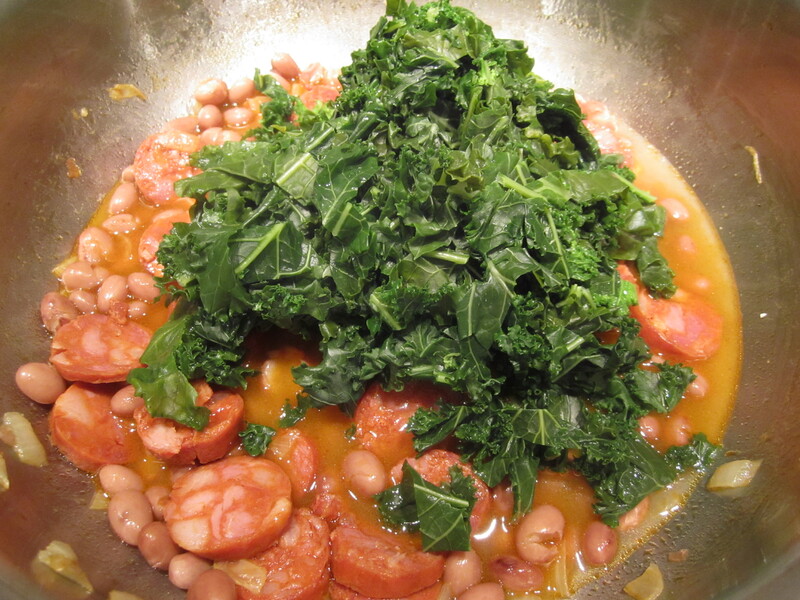 Add the beans, broth and kale, and simmer, uncovered, until pasta is a minute shy of done. Add pasta to the skillet mixture, along with the desired amount of pasta cooking water. Taste and add salt and pepper. Simmer for a minute. Serve with remaining oil drizzled on top, along with the grated cheese.